Diet advice is everywhere—on the Internet, in our favorite magazines, and passed on by word of mouth. Sometimes it is just overwhelming. 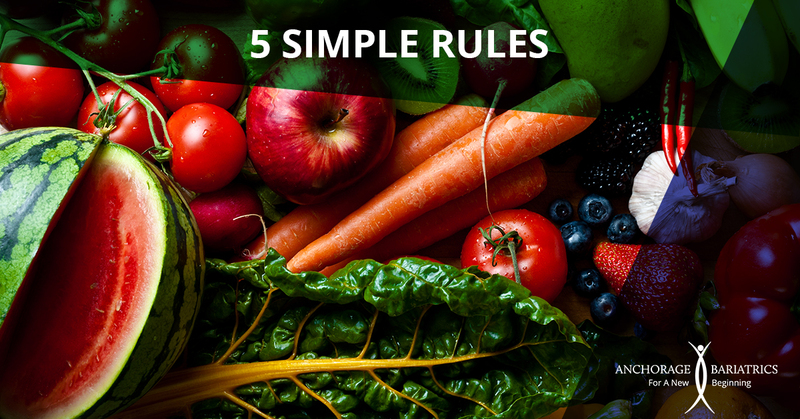 To make it easier, here are five foolproof guidelines to help you eat more healthfully. 1. If you cannot pronounce the ingredients, pass it up. Many people diligently look at the front of the package or the nutrition label before purchasing any food, but fail to look at the ingredient list. Many of the foods that look healthful at first glance contain ingredients that you cannot pronounce—which may mean that the item is not nearly as good for us as the manufacturer would like us to believe. 2. Apple pie is not a fruit. It is easy to play games with yourself when you are trying to watch the way that you eat. Sure, some broccoli possibly is buried under that cheese sauce or that drink may contain some fruit juice, but if you are honest with yourself, you know better. How your food is prepared is often as important as what type of food it is. 3. Eating all your pasta is not going to save any starving children. Membership in the “clean plate club” does not offer any benefits. Stop eating when you are full. Have your leftovers boxed up, or put them away for tomorrow’s lunch. Listen to your body. 4. A moderate diet is a healthy diet. Plato wrote this in The Republic in 360 BC: “A moderate diet is a healthful diet.” He continued, “And with such a diet they may be expected to live in peace and health to a good old age, and bequeath a similar life to their children after them.” This is sound advice today. Eat what you like from every food group, and do not overdo any one food or food group, or completely neglect another. 5. Choose whole foods. Select whole fresh foods, not fresh fruit that is squished into a “100% real fruit” fruit snack or a vegetable that is dehydrated, salted, and baked into a cracker. No, we are talking about the kind of whole foods that grow out of the ground and on trees. If you choose these foods more often and their processed counterparts less often, you have already won half the battle. 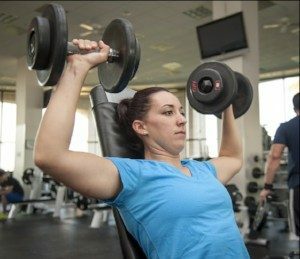 You may have heard that adding weight training to your exercise routine will help you burn more calories than just doing cardio alone. Well, its true! Muscle burns fat, and the more muscle you have, the more fat you burn. A study in Muscle & Fitness magazine states that alternating cardio training with weight training will help boost your metabolism. In fact, doing weight training can increase your calorie burn for up to 12 hours post-exercise! Lean Meat: Meat has protein, B and E vitamins, iron, magnesium, zinc. But most cuts have lots of cholesterol and fat, too. Stay with round steaks and roasts, top loin and sirloin, chuck shoulder and arm roasts. Prefer poultry? 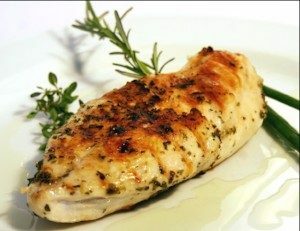 Skinless breasts or cutlets are best. Burger? Use ground beef at least 90% lean. Trim fat before cooking, then drain whatever emerges during heating. Broil, grill, or roast; don’t fry.